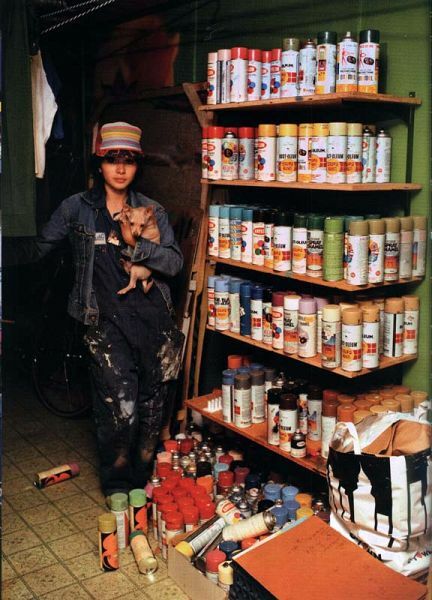 1/01/1984�� Whilst the pages and pages of subway art are cool in their own right, the real gems are the pictures of the artists painting them. 80's B-Boys at their finest. If you dig graffiti, and dig I scored this book for under $5 at a Borders closing sale, and man was it worth it.... In new introductions Martha Cooper and Henry Chalfant recall how they gained entry to the New York City graffiti community in the 1970s and 1980s. New afterwords continue the story from the decline of the subway graffiti scene in the late 1980s to its unexpected rebirth as a global art movement. Subway Art by Martha Cooper and Henry Chalfant In 1984, Martha Cooper and Henry Chalfant, the two of the best street art photographers , collaborated on one of the most influential and popular graffiti books, which documented the very beginnings of NYC underground graffiti culture.